Jeffrey S. Meral is committed to providing excellence in dentistry, and stands out as a leading dentist in Coral Springs. The doctor uses the latest in dentistry techniques to provide you with a beautiful and healthy smile. Additionally, Jeffrey S. Meral believes strongly in education to prevent oral health problems before they occur, and makes sure to keep patients fully informed about their dental health. 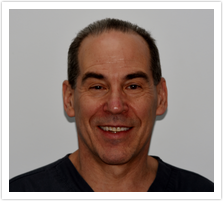 Dr. Jeffrey S. Meral graduated from University of Michigan's School of Dentistry in 1983 and moved to South Florida to begin his practice. He was accepted to Dental School after three years of College in Michigan's early acceptance program. As a student, he was a member of Alpha Omega Dental Fraternity. As a resident of Parkland/ Coral Springs area. Dr. Meral is married with two children. Dr. Meral is a member of the American Dental Association, Florida Dental Association , Atlantic Coast Dental Association and Broward County Dental Association. He is licensed in both Florida and Michigan. His extensive continuing education in the fields of Esthetic Dentistry, as well as Oral Sedation and Nitrous Oxide from Nova Dental School. Dr. Meral was joined by University of Florida, College of Dentistry faculty member Dr Valeria Gordan, research coordinator Deborah McEdwards, and Dr. Craig Ajmo of Dunedin, Florida. 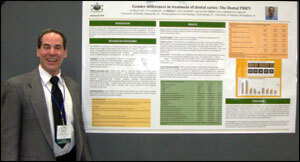 The abstract titled "Gender differences in treatment of dental caries" is part of six studies that Dr. Meral participates in at this time.